I vaguely remember what having a toddler and a newborn was like. Hard to believe it was already three years ago! My boys generally play amazing together, but in case you need some help in the sibling bonding department, I'm here to hook you up! 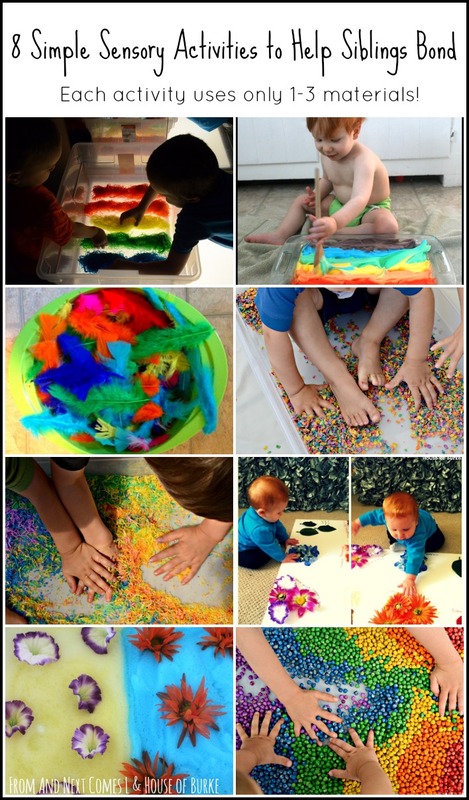 My friend Blayne from House of Burke recently had her second baby, so I'm sharing eight simple and colorful sensory activities that help promote sibling bonding. Each sensory activity uses three or fewer materials and most of the sensory bins can be reused again and again. How's that for simple? Click here to read the full post on House of Burke.